Android is by far the best mobile operating system as it comes with a lot of amazing games and applications. Sometimes, we want to play that games on our PC but some of these apps and games which are available at Google Play Market are not available for Windows and Mac operating systems. So, what should one do?? Today, in this tutorial we are going to tell you how you can Run Android games and applications on PC. All you will need is a software which is known as Bluestacks. Bluestacks in an Android emulator which will help us to Run Android games and applications on PC. 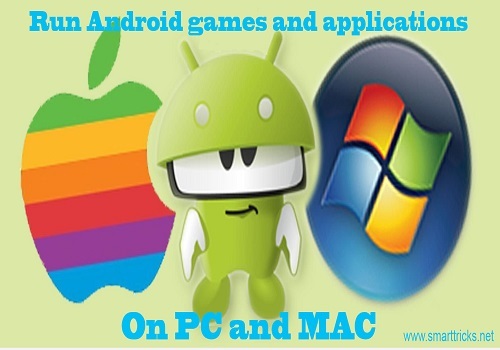 You can have the perfect Android experience on your Windows and Mac Operating system using Bluestacks. Step 1: First of all you need to download Bluestacks. Click here to download Bluestacks for your Windows or Mac Operating systems. Step 2: Once downloaded, install it using the executable file. You will see a couple of steps in the installation wizard. Follow these steps and installation will be continued. Once the installation is done, Bluestacks icon will be available on your desktop. 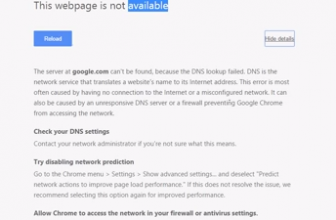 Step 1: When you will run the Bluestacks for the first time you will be asked to insert your Google Account details. 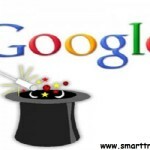 Insert the Google Account details so that, that account can be synced with Google Play market. Step 2: Once your account is synced you are ready to go. Open the home of Bluestacks by clicking on Bluestacks icon and you will see a search field there. Type and name of app or game there. Let me explain you this with the help of an example:- In the Search field enter “Whats App” (without quotes). You will see What’s App on the homepage and will also see an Install Button present there. Click on Install button and the app will start downloading. The download time will take depending on your internet’s speed. Step 3: Now open the app. When you will open the app for the first time you will be asked to enter your mobile number. Provide correct mobile number as this number will get a verification code which will be used to authenticate your What’s app account. Now you have verified the account you can easily use What’s app from your computer. If you want to see which applications are installed on your system, you can open the “My Apps” area and see all the apps which are present on your system. Open the “Top Charts” section to see the apps which are being most downloaded by people on the Google Play market. You can even sync apps from your PC to your Android smartphone or from your Android smartphone to your PC using Cloud Connect. plzz clear problem as early as possible. Give me tips regarding this. Hi Yash, Please be more clear on what problem you are facing while running android games on Bluestack so that we can help you get rid of that. bluestack is install my pc but when choose any icon its shows ‘THE MARKET ARE NOT FOUND’. BlueStack is not install in pc without graphic card ,is it ? which is version of android is running in bluestacks 7? After showing 1 and 37 that..it is showing Line 26 Char 20.so what to do..? Bluestack giving some error on my pc(XP), i.e you need 2GB of physical memory.. what’s the solution for this error..?? any other app avialable apart from bluestacks and youwave….? I think you dont need any other Nitin, Bluestack is more than enough. if you cant install bluestack because of Graphic card then go for Youwave. 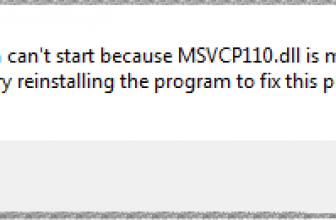 During installation of BlueStacks it showing some error saying that your graphics driver has not been updated. update it first and then try it again. But the problem is that I have no graphics card in my laptop, is it been possible to install this software without graphics card,, if possible kindly tell me the way of installation. Yes, Unfortunately Bluestack Requires graphic card, you cant install it without graphic card. Partha, your laptop may not have a dedicated Graphic Card, but by allmeans it has one integrated then with the processor. is it possible to have whats app installed on both pc and mobile with same mobile number and message are sync in real time? Hi Nik , it is possible to have a same number on both mobile and laptop/PC. 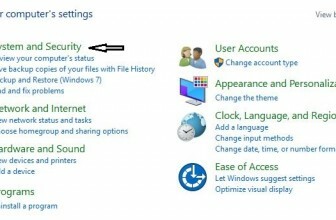 How to share or add our laptop hard disk data in to bluestack software’s gallery?? How to add our pictures in to Gallery to set as a profile picture…? download ES file explorer in bluestacks.here “bstshredfolder” named folder can be seen.then try to add photos to it n u can add it to profile pic. 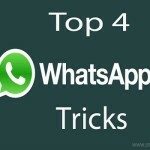 other way is to add the photos to whatsapp images folder which is easier way. Bluestacks needs graphics card. How could i install it, i’m not having graphics card. Is there any other software to work with android apps in computer? yes bluestack has some problem with graphic cards, yes you can even use Youwave to Run android apps on your pc, the only problem is youwave is not available for free, but you can get it from somewhere if you are smart enough. graphic card is most compulsory in bluestack without graphic card nlue stack will not installed. …..